FADEC International, an equally owned joint venture between BAE Systems and Sagem (Safran group), has expanded its worldwide service capabilities through the addition of Safran Electronics Asia (SEA) as an authorised full authority digital engine control (FADEC) Repair Centre for commercial airlines in the region. “Our FADEC repair services help airlines reduce maintenance costs and extend the life of their aircraft,” said Dr Ehtisham Siddiqui, Vice President and General Manager of Commercial Aircraft Solutions at BAE Systems. According to the news release by BAE, SEA’s repair capabilities will help maximise aircraft availability for FADEC International’s customers. The newly authorised SEA FADEC Repair Centre will provide Level 2 FADEC maintenance for the FADEC International products on the CFM56-7B, CFM56-5C, CFM56-5B, GE90-115, CF6-80E engines (and GEnx-1B, GEnx-2B from 2015). In addition to the new FADEC Repair Centre, BAE Systems also has a full maintenance, repair, and overhaul facility in Singapore to complement its aftermarket service offerings in the region. 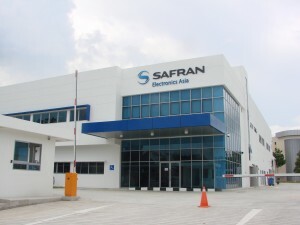 “Providing avionics repair maintenance services for more than a decade in the Asia-Pacific region, Safran Electronics Asia, a subsidiary of Sagem, will now bring to all the Asian operators its long-term experience and quality of services on their FADEC equipment,” said Jean-Paul ALARY, General Manager of the Safran Electronics Division at Sagem. The FADEC solution (a redundant computer system) reduces pilot workload and increases efficiencies. The system electronically monitors and adjusts aircraft engines for proper and smooth operation. The FADEC controls all aspects of engine performance, such as fuel flow, variable engine geometries, and overspeed protection, as well as interfacing with the engine thrust reverser, so there is no need for pilots to make manual adjustments. “Through FADEC International, BAE Systems and Sagem (Safran group), develop, manufacture, and support high-reliability aircraft electronics for harsh engine environments. The company serves airlines and aircraft maintenance and repair providers with a full range of aftermarket capabilities. Leveraging extensive knowledge of severe engine environments, FADEC design attributes, and repair history, FADEC International has developed a robust process that helps customers decrease costs, simplify maintenance, and enhance their services,” it says in the news release.